Explore a whole new world with Aladdin and Jasmine's Palace Adventures! LEGO Disney 41161 Aladdin and Jasmine's Palace Adventures is the perfect Aladdin play set for recreating magical scenes from Disney's Aladdin movie. With a small marketplace, Cave of Wonders, palace and a flying carpet, Disney fans can relive the magic over and over again. Easily move the furniture and market stall into different rooms in the palace for a customizable play experience, then use the spinning function to fly the magic carpet around the palace. 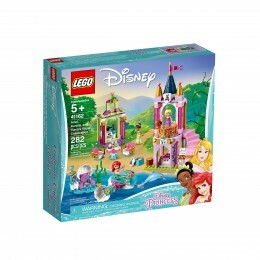 Includes Aladdin and Princess Jasmine mini-doll figures plus a LEGO bird figure. 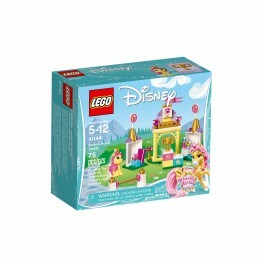 Includes 2 mini-doll figures: Jasmine and Aladdin, plus a LEGO bird figure. 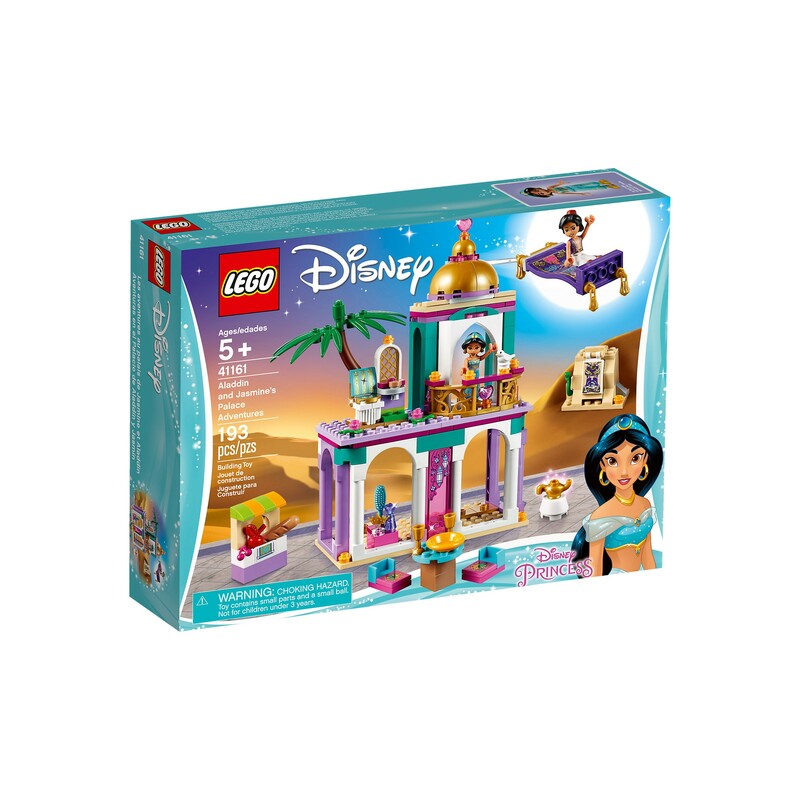 Features a buildable toy palace with 3 rooms, terrace and balcony, magic carpet with flying function, market stall and an opening entrance to the Cave of Wonders. Accessory elements include a magic lamp, snake, tiara, hairbrush, perfume bottle, fruit, bread, bird food, plate and goblets. 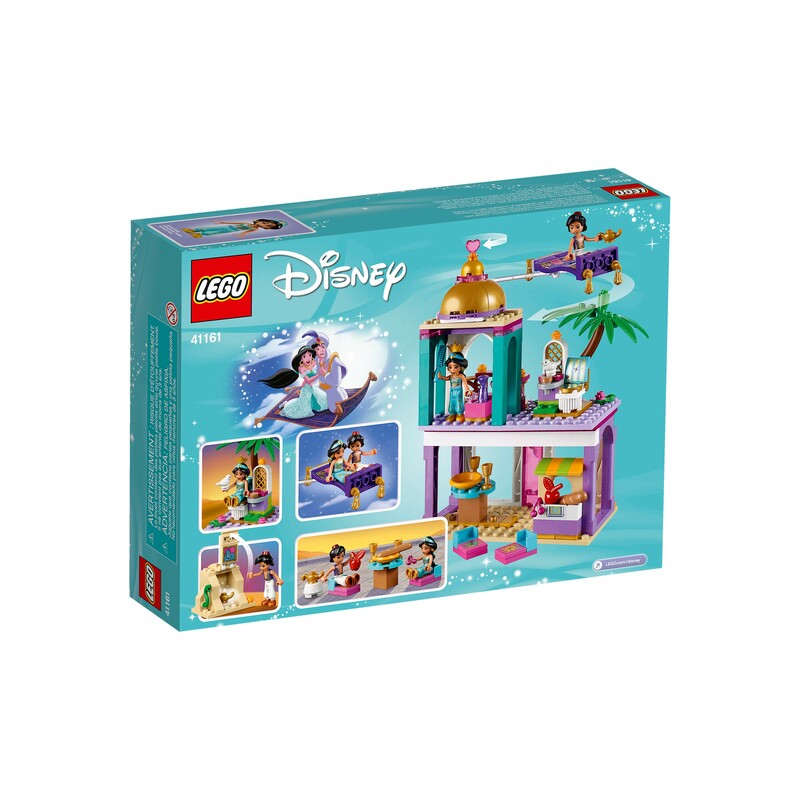 Use the spinning function to fly the Aladdin and Jasmine mini-dolls on the magic carpet around the palace, or detach the carpet and go freestyle for even more wonderful adventures. Easily move the furniture and market stall between the different rooms of the palace to customize your play experience. 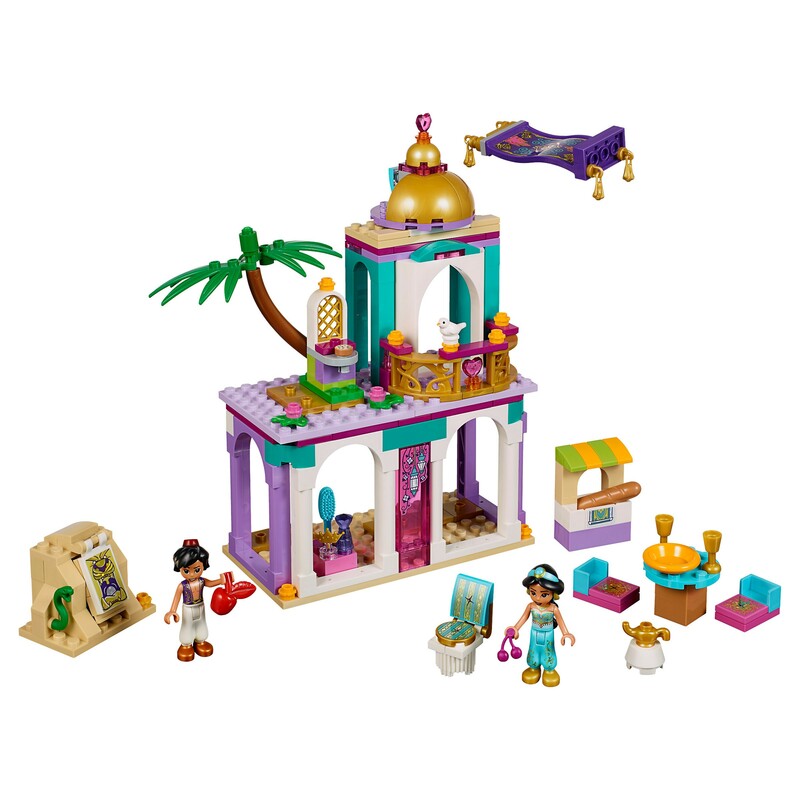 This easy-to-build Disney Aladdin construction toy is the perfect play set to recreate favorite moments from the Disney movie. 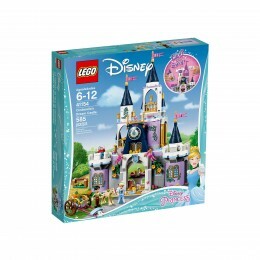 Combine with 41158 Jasmine's Petite Tower to create an extra tower on the palace. Palace measures over 7" (20cm) high, 5" (13cm) wide and 2" (6cm) deep.